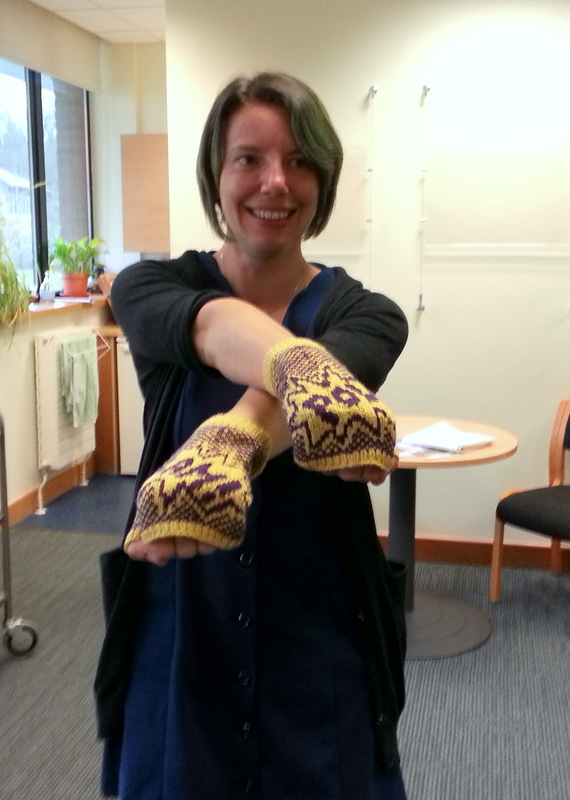 Aren’t these mitts cool? 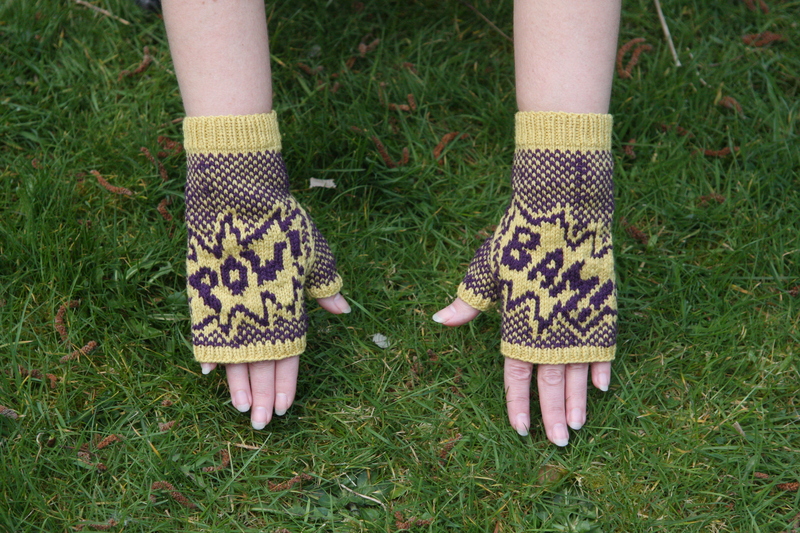 The pattern, called Fightin’ Words, is designed by Annie Watts. 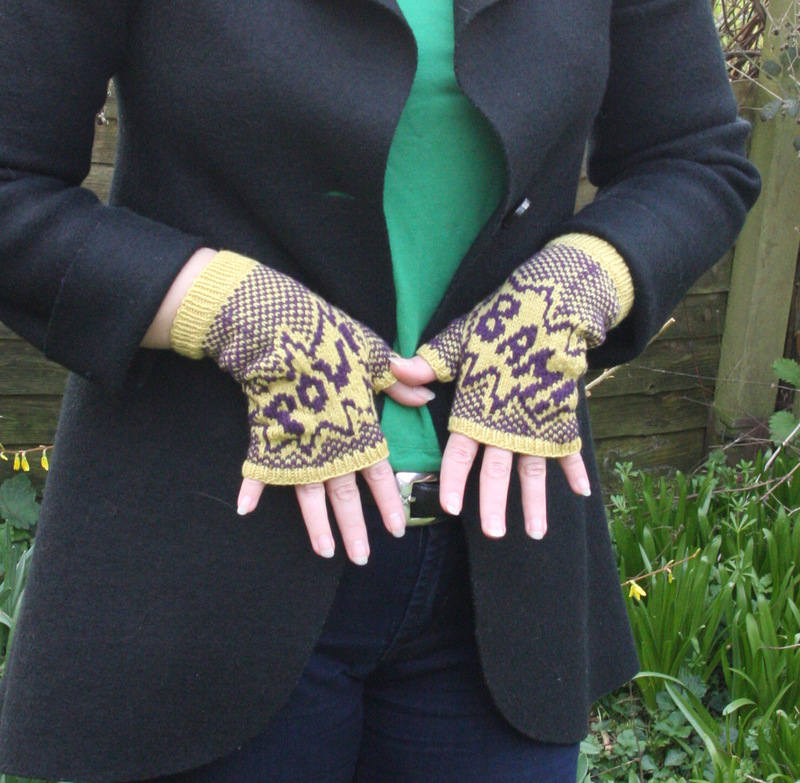 You can find them here (along with lots of other cool designs) or on the Ravelry link here. I first saw the pattern a few years ago and instantly decided that they were destined for Lizz when she finished her PhD. As time passed, I had them continually in the back of my mind but always thought “Oh, I have lots of time to knit these up.” Stupidly, even when she submitted the dissertation, I continued to procrastinate knowing that it can take awhile to schedule the actual exam. And then, two weeks ago Lizz said to me “My viva has been scheduled; it’s two weeks from today!” Eek! How did your Viva go, Lizz? Bam! Pow! Slam dunk! I absolutely recommend this great pattern. They are so much fun to knit and look so cool! Make sure you pick two high contrast colours, they really need to pop in order to carry the design. I’ll be at b-school on the weekend and won’t post, but I have two more finished projects to show you; coming up soon! Kapow! 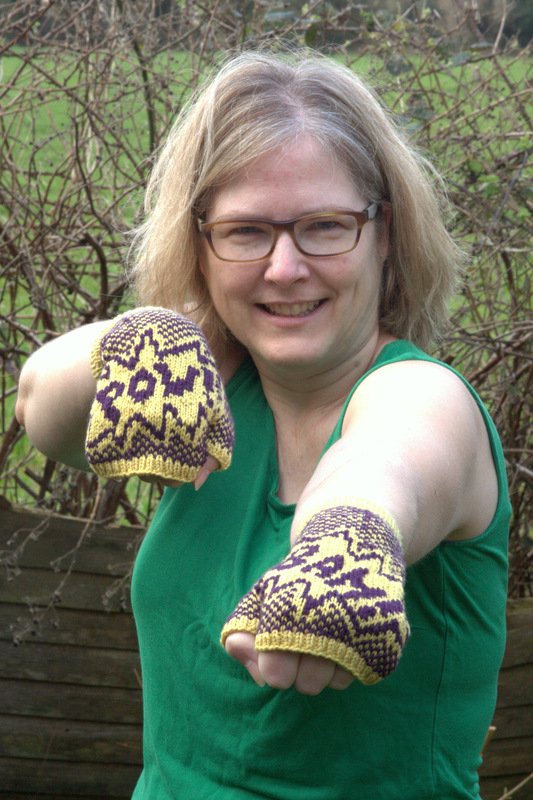 This entry was posted in Finished Project, Main and tagged Annie Watts, Fightin' Word Mitts, Knitting by knitigatingcircumstances. Bookmark the permalink. Fabulous! This post, and the project, have me grinning from ear to ear. Thanks, Susan. It’s hard to see these mitts and not smile. Love those mitts! My better half would actually wear those just to wear, so I’m off to queue up! They are fun to knit too! It’s a win-win. What a perfect gift, she knocked them out! Having gone through a PhD defense, I can relate. Thanks. They did seem rather appropriate to the occasion. Those are great! Love the color combination. I think they are the perfect defense gift! Thank you. I like these colours too; they are very cheery. Thank you, and thanks for the nomination. I am pleased that you are enjoying my blog. I checked out your blog, and I love your “I work so she can knit” shirt!